There are a lot of spiritual and emotional reasons why someone should strive for a minimal lifestyle. There are feelings of calmness and peacifulness that a more focused life can bring. This is not one of those topics. This is cold, hard, calculated cash money. As KidMNML grows and develops, we will discuss the different facets of money, but before we can talk about anything else we need to tackle the first major financial hurdle…Debt! The average household in the US is paying $6,658 in interest per year. This represents 9% of the average household income ($74,591) being spent just to maintain debt. The average debt per household makes up 167% of the average annual income ($125,936 in debt vs. $75,591 household income). That means if the average family never ate, never paid taxes, and only spent money paying off debt it would take about 20 months to pay it off. So the solution is just to earn more money, right? Nope…turns out earning more only makes the problem grow. As income increases so does the average amount of debt. Higher income families qualify for larger credit limits and run up larger tabs. Families that earn over $157,000 per year pay roughly 52% more in credit card interest payments than families that make the average $75,591 per year. 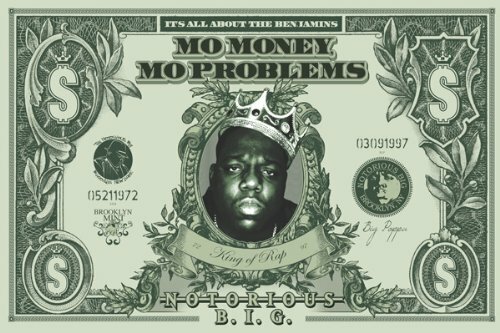 In other words….mo’ money, mo’ problems. These numbers may be on the low side too. In 2013, a study was done that concluded that borrowers under-report their debt. Lendor-reported debt was actually about 155% higher than the borrowers claimed. Debt is not a complicated issue. To avoid debt, just don’t spend money you don’t have. Easy right? Unfortunately for most of us life didn’t work out that way. We took out student loans, bought homes we couldn’t afford, or just allowed our lifestyle get out of control. No need to be ashamed…we’ve all done it . We aren’t here to discuss how we got into debt. We are going to leave that in the past and focus on establishing new spending habits that will eliminate the existing debt and grow wealth for the future. Start with researching your finances by tracking your income and your spending. There are apps like Mint and Level that some people find beneficial, but I prefer a simple Google Doc Spreadsheet or a handwritten journal. For one month, just write down everything. Track all income and expenses. Categorize expenses into areas like rent/mortgage payments, auto/gas payments, utilities, groceries, eating out, coffee, clothes, pets, etc. or whatever makes sense for your life. This first month is only about gaining an understanding of how much you are making and where the money is going. Don’t worry about making changes to your spending habits at this point. Just be diligent about this practice and create a routine where you input your spending and income every single day. Any surprises from your monthly tracking? Shocked at how much per month you are spending on cable or coffee? Now is the time to do something about it. The next step is to make a proactive gameplan. Sit down and write out a budget for the next month that forces you to spend less than you make. This could be created via spreadsheet, a fancy app, or the back of a napkin. It doesn’t matter as long as it is written out somewhere. Spend every single dollar on paper and then militantly stick to that plan. Don’t go out for an extra meal. Don’t impulse buy anything on amazon. Stick to simple, budget-conscious meals. Force yourself to make the difficult choices to change and improve your life. This part isn’t going to be easy. But you have commit to your budget if you want to change your life. Now that you have some control over your finances, it is time to attack your debt. I like to stick to the plan created by Dave Ramsey (more on him later). The plan involves the following steps. This is a small savings account that will allow you to absorb any of life’s unknown twists and turns. 2. Pay off all consumer debt. You got yourself into consumer debt and now it is time to get out. Organize all your non-house debt including auto loans, student loans, and credit card debt. Arrange all your debt from the smallest balance to the largest. Make only the minimum payment on all accounts except for the smallest debt. For that one invest as much as you possibly can toward that paying off that debt and make it go away. Once the smallest debt is paid off, take the monthly payments you were making on that and roll it into the second smallest debt. Pay that one off and roll the money into the next debt. This is called the “Debt Snowball” method because it allows you the chance to slowly increase your payments over time and you end up eliminating huge chunks of debt each month. After your consumer debt is paid off, increase your emergency fund from $1,000 to 3-6 months worth of your net monthly take home. If your family brings home $5,000 per month, build the savings account to $15,000 to $30,000. 4. Invest 15% of household income into Roth IRAs and pre-tax retirement. If your work offers a 401K, start there. Look into investing in Roth IRAs (we recommend Vanguard). We will get into detail about why we love Roth IRAs in a future article but for now just know they rock for retirement savings. After you have your retirement savings in place, start building funds for your children’s college education. Now you have no debt, a paid off home, savings for your retirement, and saving for your children’s future. Just imagine, you have zero payments toward interest! All of your money you can spend on the people and things you love. Ever wanted to give back to a good cause? With the financial stability you have created…you can! The Dave Ramsey Radio Show was my introduction to the benefits of living a debt-free life. I didn’t seek it out. I used to bartend while I was in graduate school and it was the only thing on the radio when I would drive home at 4 in the morning. I did not think it would change my life. Little by little, I heard people’s positive outcomes and wanted that for myself. As I went through the process of getting out of debt, I continued to listen to the show and it served as a constant motivation. Hearing people tell their stories of being debt-free was motivation during the difficult times. After listening to Dave Ramsey I also was recommended the Mr. Money Mustache website by my friend Andrew Beddini. In his own words, Mr. Money Mustache is “is a thirtysomething* retiree who now writes bout how we can all live a frugal yet Badass life of leisure.“ So whether it is Dave Ramsey, Mr. Money Mustache or any of the other websites, blogs, or podcasts that exist, I would highly recommend starting to engage with something that can motivate you on a regular basis. There is nothing more personal than your family’s finances. Early on, I had a hard time separating my emotions from my budget. I would think about how much I enjoyed eating out and going to the movies and I found it extremely difficult to cut things down as much as I needed to. I found it much easier if I just pretended like I was helping someone else. Temptation for consumerism is all around us in our modern lives. Advertisers have mastered the art of manipulating us into thinking we need a certain product. Social media makes it seem like everyone we know is going on exotic vacations, eating incredible meals, or purchasing the latest gadget. Do not get sucked into this trap. Do not get sucked into this trap. Be selfish and focus on your own life. Be happy for those around you, but remember that everyone is different and you are doing what is best for you and your family. You will physically not be able to spend more than you have budgeted and you have no choice then to be accountable. 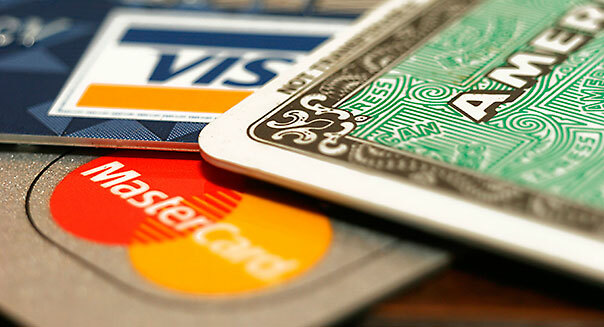 It is emotionally easier to make large purchases on a credit card. Cash is a tangible thing that represents something to us. Pulling out five, $20 bills to pay for clothes is much more difficult than swiping a magical credit card. This was something I never tried, but read in multiple places and heard it can lead to success. I did not make the revelation that I wanted to be debt-free at the same time as my wife. Again, I was driving in the car on the way home from work and she did not experience it the same way I did. She would only hear random fragments of the show that would sputter out of my mouth when we were together. She would politely listen, but I took that to mean she was in complete agreement with me and was ready to make the change too. I couldn’t have been more wrong…and it was my fault. I started acting on what I was hearing and I made the assumption that she was all for it. When she wasn’t acting as I would have hoped, I became frustrated and would nag her about her spending or how she didn’t enter something into the budget. She would become agitated with me and grew very resistant to the idea of making any changes. Be open and communicative from the beginning. Don’t wait for your partner’s spending habits to irritate you to talk about it. This will inevitably lead to a fight. Instead, find a nice, quiet time to bring it up. Maybe dinner or a weekend cup of coffee when everyone is at a good place emotionally to start the discussion. Gently introduce your partner to the same books, articles, or podcasts that inspired you. Only mention them once then back off. Let them do some research on their own and figure things out. In the meantime, only focus on yourself and spending that effects only you. Once you show that you are willing to make sacrifices for the family your partner may follow suit. Wait until your partner brings it up again. And when it does come up, focus on the positive long-term goals this can have on you and your family. Above all, just be patient. You did not discover this overnight and you need to give your partner all the time he or she needs before moving forward. Getting out of debt can be an incredibly difficult, stressful process. It can feel like climbing an insurmountable mountain. The key is to focus on the positive progress you are making and the long term goals that can result from pulling you and your family out of debt. Imagine actually being able to comfortably retire someday. Imagine never paying interest to a large corporation ever again. Imagine never being stressed about bills or debt collectors. Imagine every dollar that you earn going to the people and things that you love. Imagine being able to pay for your children’s college education so they can have an opportunity to begin their adult lives without student loans. Just keep telling yourself that if you do this you can improve your life, your kid’s lives, and set up a positive financial situation that could help your family for generations to come.